GeForce GTX 10 series is STILL alive! It looks like NVIDIA bought itself a mountain of unsold GDDR5X memory chips, and is now refreshing its own mountain of unsold GP104 inventory, to make products more presentable to consumers in the wake of its RTX 20-series and real-time ray-tracing lure. First, it was the GP104-based GTX 1060 6 GB with GDDR5X memory, and now it’s the significantly faster GeForce GTX 1070, which is receiving the newer memory, along with otherwise unchanged specifications. ZOTAC is among the first NVIDIA add-in card partners ready with one such cards, the GTX 1070 AMP Extreme Core GDDR5X (model: ZT-P10700Q-10P). Much like the GTX 1060 6 GB GDDR5X, this otherwise factory-overclocked ZOTAC card sticks to a memory clock speed of 8.00 GHz, despite using GDDR5X memory chips that are rated for 10 Gbps. It features 8 GB of it across the chip’s full 256-bit memory bus width. 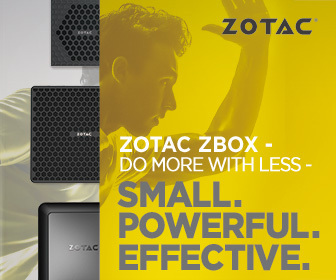 The GPU is factory-overclocked by ZOTAC to tick at 1607 MHz, with 1797 MHz GPU Boost, which are below the clock-speeds of the GDDR5 AMP Extreme SKU, that has not just higher 1805 MHz GPU Boost frequency, but also overclocked memory at 8.20 GHz. Out of the box, this card’s performance shouldn’t be distinguishable from the GDDR5 AMP Core, but the memory alone should serve up a significant overclocking headroom.